Ken Blake from ThinkBigRadio.com interviews Allan on BlogTalkRadio about web design, WordPress and how he got started teaching. Check out the interview below or on BlogTalkRadio. Greetings from Allan at MindVisionMedia.net, I hope this post finds you well. With embedded media, specifically video and advertising being used frequently on websites, it is important to understand some simple rules of courtesy that will make your user’s experience pleasant and enjoyable. How many times this past year have you visited a site or clicked on a video link only to arrive at the page or video that begins playing at live concert sound levels? Or how many advertising videos have you encountered that don’t have controls at all and have volume levels that your neighbors down the street can hear? 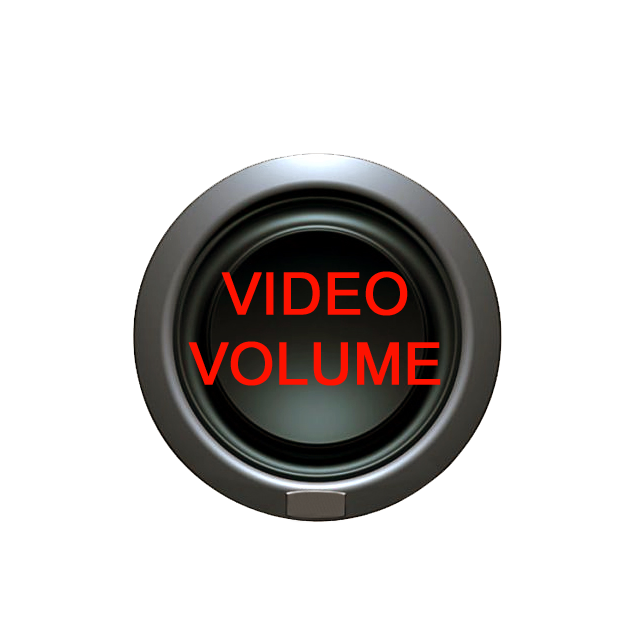 I don’t know about you but I have been shocked out of my chair several times by some of these videos and advertisements that start playing at maximum sound volume. It is very annoying and in my opinion, disrespectful. If you have other people in your home or office, this can be quite intrusive and distracting. It happens quite frequently on big sites like Yahoo, YouTube and other sites including news sites too when you click on a news story, article or video. When did the web become so inconsiderate? I’m not sure but I don’t recall it being that extreme prior to the last year or two. I remember not too long ago there was a campaign to stop TV and Cable stations from blasting loud commercials that were 2-3 times the volume level of the program you were watching but the concept or rather consideration hasn’t been upheld and doesn’t include the web. It is so inconvenient to keep adjusting your speaker volume on every web page you visit or to have an advertisement start playing out of nowhere while you are reading an article, then to have to scroll down the page to find where the embedded video or ad is located which often doesn’t even have any volume or player controls at all. What is up with that I have to ask? Trickery is not a best practice in web design nor is placing media on your page that the user can’t control or opt-out of listening to. Even with your computer volume set to a low-level, some of these sites, especially the big guys with all of their advertising just explode with loud intrusive volume levels that are mind-boggling and you are forced to listen to or watch before you can see, read or watch what you came there for in the first place. As a designer who has to build, upload and test a lot, I frequently do a lot of work during off-peak hours while many are sleep and bandwidth is plentiful. There’s nothing like doing research or visiting a website at 2 in the morning and the website you visit has video or advertising at volume level 1000 that scares everybody including your neighbors out of a deep sleep. To me it is just common sense, common courtesy to adjust volume at a respectful level or to leave the option to the user to turn volume on or skip your ad altogether. But advertisers especially want you to hear their commercial even if you are down the street from your house at the gas station or walking your dog around the corner, unbelievable! So this post is to remind designers to be respectful, be considerate and always embed your media with low or no volume. Or at least give your users the option to play the media or not with clear direction. Never, never, never put a video at the bottom of your page that starts automatically with high volume and your visitors must scroll down or look for the source of annoying noise or check other open browser tabs and windows to see where the sound is coming from, that is just plain rude and projects a sneaky methodology and purpose. To be safe in general, I recommend just having the video set to not autoplay and allow your visitors to select the media to play it at their convenience. If you’re tired of advertising and video from websites, especially the big boys and News sites blasting uncontrollable advertising videos with inconsiderate volume levels and no player controls to opt-out, help spread the word on social media, write a post about it and start the conversation in your circles. Maybe the FCC and these sites will get wind of the issue and start to pay attention, thanks! WordPress Security more important than ever! Recent revelations have disclosed that with WordPress reaching record numbers in popularity, the threat of hackers and those who have nothing better to do than infringe and impose on the hard work of others has increased.Greetings from Allan at MindVisionmedia.net and I hope this post finds you all well! Over 75 million websites now use WordPress, that’s pretty impressive for an open-source development project that started out as a tool for Blogger’s! In a recent article by Imperva, WordPress sites are attacked almost 25% more than any other CMS. Why is that you may be asking, part of the reason is because it is a free tool accessible to not just fortune 500 companies and high-level entertainers, but also to the everyday Joe and Jane who know nothing about websites and may not be Internet savvy enough to know the dangers of starting a website or Blog. Of course its safe for the most part, but there are hidden dangers lurking just behind all those cute little pictures, graphics and stories on your website or Blog. Anybody can copy and paste some images or install a plugin to put up a website. But far too many users don’t research or know what the risks are once you open up your life and the life of your visitors and users to the world. Self-proclaimed webmasters often think they have it all down pat, that they don’t need to know anything other than copy and paste, that they don’t need advice or skills beyond that but many have learned the hard way and continue to do so. According to research, alerts and articles from companies like Imperva and Wordfence, attacks are on the rise partly because of the relaxed, comfort mentality many feel once they set up a website. I am here to tell you there’s more to a WordPress website than having a pretty site with bells and whistles. Not only do you need to know about other skills like HTML, CSS and PHP as well as server-side functions and settings, but having a broad knowledge of security is a must in today’s Internet driven society. Otherwise it’s not a matter of if, but when you will be compromised. WP experiences 60% more XSS incidents which is a type of security vulnerability which allows attacker’s to inject external client-side code on a website. 48% of all attacks are against retail-type applications, Blogs with many users and login functionality suffer almost 60% of these attacks and more than 60% suffer an SQL attack. Comment spam remains a major thorn in many a side too these days and it can be a nightmare to get rid of if it infects your database and user tables. What can you do? For one, I used to create passwords that I could remember, but now with so many accounts for this and that, it has become almost impossible for me to remember all of them. Now with experience in matters of site security and helping others with the same, I create passwords that are impossible for me to remember let alone a hacker to figure out, called “strong passwords“. This helps a great deal but it doesn’t stop there. Changing that strong password periodically helps as well as having good reputable security plugins and themes installed. Old themes and plugins leave cracks in your security so always update right away if the update won’t break your site or have major conflicts with the normal function of your site that is. If so, search for an alternative but know that occasionally it may be best to eliminate that conflicting plugin altogether. Always research the update to know before hand if a conflict is expected, check the log files and change log of that plugin or theme to see exactly what they changed. In some cases as with the popular Responsive Theme in recent updates, an update can break your site and cause all types of problems. Also, install an SSL certificate if you do a lot of e-commerce or user registration, this will help protect valuable personal information from you and your customers and registered users. Your web host should be reliable and accessible 24/7 to address issues with security and also provide updates and notices about current threats. They should provide you with information about their efforts to fight such threats openly and in a timely manner. After all, one site can infect an entire server so it is in their best interest to educate and work with their clients to ensure everyone is protected. 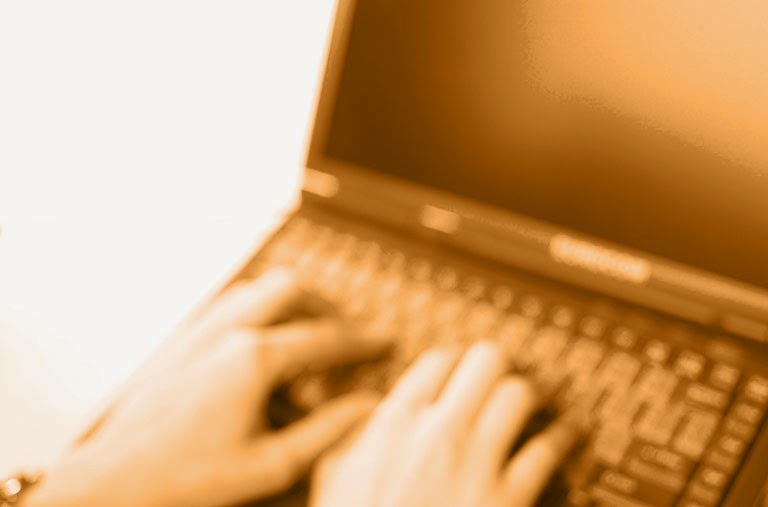 And don’t forget, keeping your personal computer safe is part of maintaining a website too, an often overlooked aspect of site security. if your computer is infected and you are uploading files to and from your site, guess what, you’re spreading the infection! Other than that, always keep a recent backup of your site and database in case of the worst scenario. 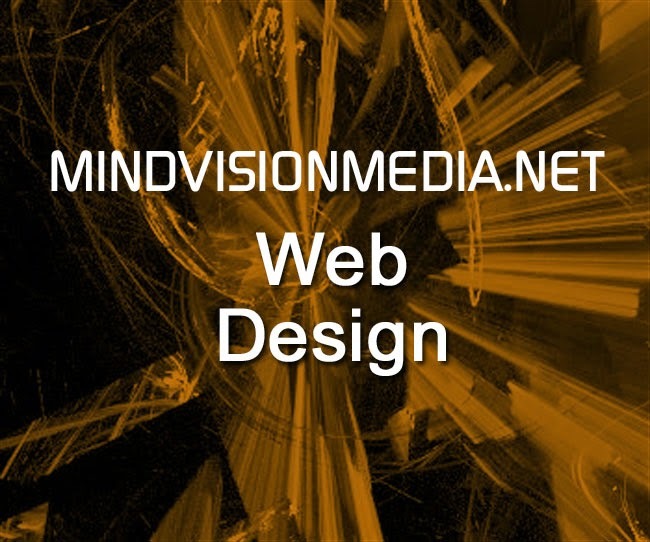 MindVisionMedia.net offers professional responsive WordPress web design services for personal or small business. We are capable of incorporating all aspects of the design process including installation of the latest WordPress CMS version, front and back-end configuration, server-side configuration, theme and plugin installation and configuration, child theme creation, custom graphics, banners and logos using Adobe Photoshop and Illustrator, custom CSS modifications if required, e-commerce setup, email capture list setup, search engine optimization and social media integration. Free website consultations. Submit a request now! Sometimes installing WordPress can be a little tricky, especially if you are a beginner. 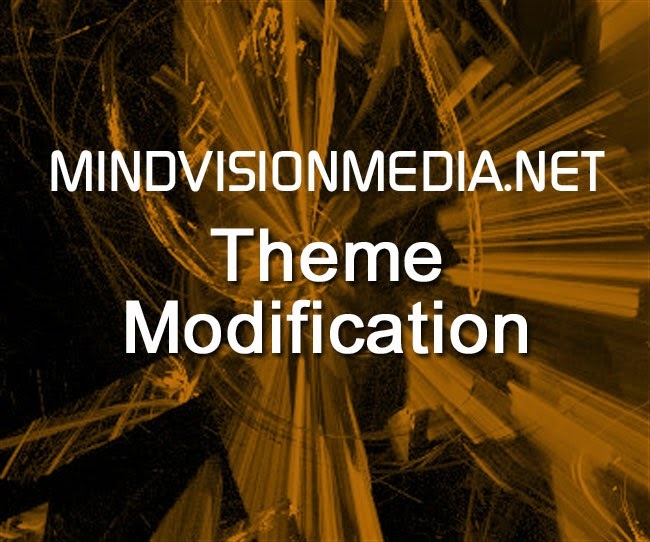 MindVisionMedia.net can handle all of your WordPress free and paid theme or plugin installations and configuration for you. Let MVM do the dirty work so you can concentrate on other things. We’ll configure your server, install the latest version of WordPress, setup the dashboard settings and install common plugins and create a child theme so all you have to do is create. Don’t let the techy stuff hold you up, Get started now! Greetings from Allan at MindVisionMedia.net, I hope this post finds you all well. I get a lot of questions about why a particular business website isn’t doing well so I thought I would write this quick post to explain some basics that I feel are very important. Todays business website needs a combination of design principles incorporated to be effective and compete with the 644,000,000 active websites on the Internet right now. Three very important aspects you’ll want to utilize besides clear, concise content and effective navigation are, social media marketing, search engine optimization and imagery or visual stimulation. WordPress is the choice for business websites with over 40% of businesses choosing WP for their content management system and combining these principles will help make you competitive and get you the attention you seek. Compared to the cost of advertising for a brick and mortar business, a website offers almost unlimited advertising in a variety of ways that are extremely cost-effective if not free all together. Of course you can still apply some of the same print marketing techniques for your site as you do with a regular business, but social media marketing is a powerful and effective approach that doesn’t cost anything except some of your time. Connecting your website to various social media channels and publishing detailed content about your goods and services will generate as much traffic or more than regular advertising. It helps to spread the word about your business and attracts followers and word-of-mouth interest. Search engine optimization is becoming more understandable and accessible to the average site owner thanks to a variety of popular SEO plugins. This allows you to not only automate but also optimize your site for most search engines primarily Google. A knowledge of Google Analytics and Web Master Tools helps to fine tune your site even more for specific target markets and demographics. In today’s visually inspired society, visual content is expected by end users. Whether it involves images of your products, graphics that help explain your services, video commercials, training or presentations, the average end-user will be more engaged if your site has visual appeal. Statistics show that our society reads less and gets most of their cues and information from visual aids. The old saying that a picture speaks a thousand words is more true now than in the past with the high use of digital mediums in everyday life. Sites that don’t have a visual advantage are often left out because the information requires more time to analyze and decipher. Using a combination of text and visual stimuli helps the modern brain to process and determine the message quicker. It also helps the user to navigate quickly to information that relates to what they seek. Effectively combining these elements in a balanced fashion into your site and message will help you drive more traffic and clients to your business. Balance is the key, the right mix of text, imagery, marketing and optimization makes for a good site that is well equipped to compete in today’s high-tech world. If you are not managing or designing your own business site, be sure your designer or webmaster is effective in implementing all of the above aspects into your design process. 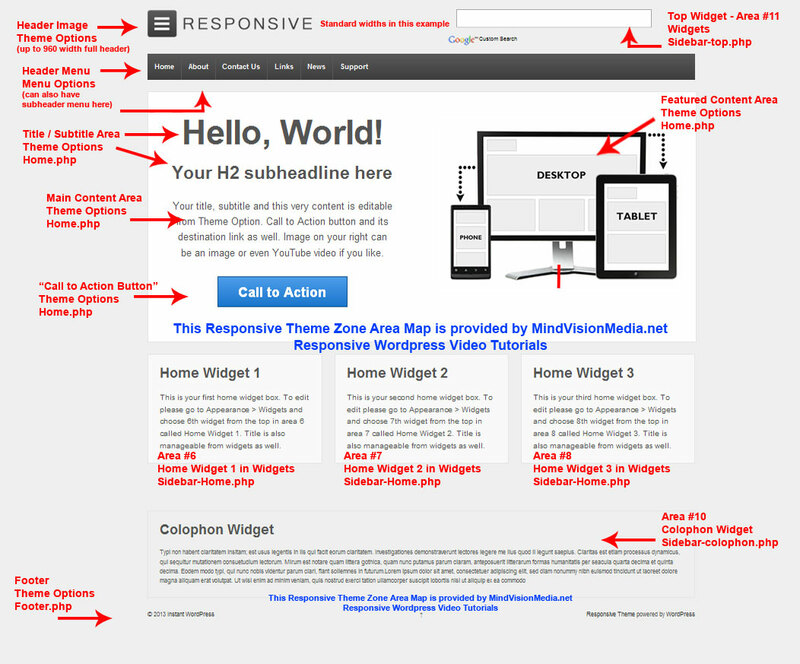 You found a good WP theme for your site but something just isn’t right. You need colors changed, extra white space removed, the font needs to be bigger, that bar at the bottom needs to be a different color. Well, MindVisionMedia.net can do that for you. We’ll modify your theme so it looks the way you want it to using custom CSS. We’ll even create a child theme for you so you don’t have to worry about a theme update erasing all of your modifications. It’s those little adjustments and details that make the difference on your site, send your request now! 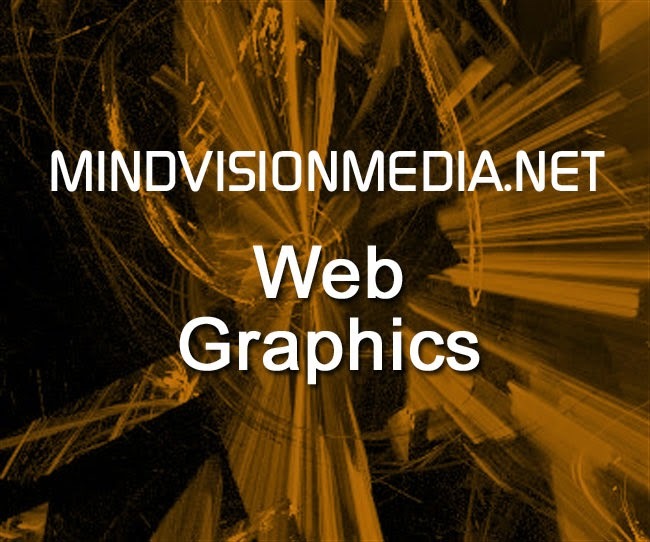 Your site is all done, you have everything in place but it doesn’t pop like you want it to… MindVisionMedia.net can build web graphics for you that will give your site that personal touch. Whether you need a logo, a banner, featured images, photo editing, JPG, GIF, PNG, SWF, it doesn’t matter, we use professional software to create your custom web elements to match your site or Blog. Go ahead, put some icing on that cake with some MVM web graphic services, tell us what you need now! Building a website is one thing, maintaining it is quite another. Is your website stale, does it need fresh content, revisions or changes? 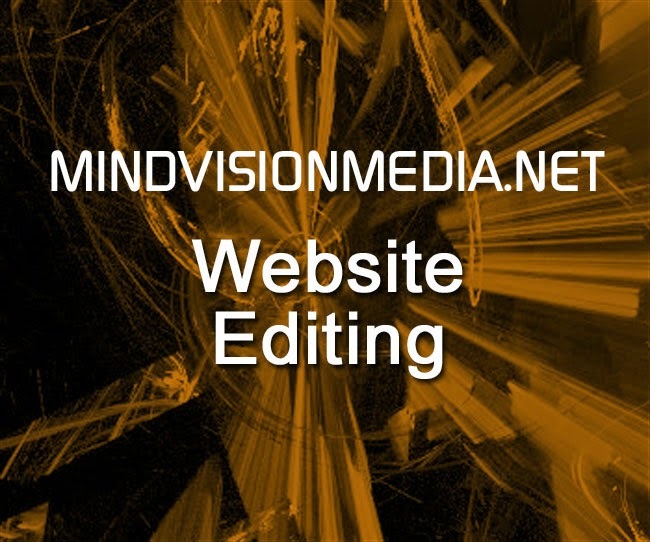 MindVisionMedia.net can create content, edit existing content, edit the layout or change the theme to give your site a fresh start. Maybe you need monthly or periodic site maintenance, we can help with an option and a price that’s right. Click here for a quote! Is your website connected to all of your social media channels? 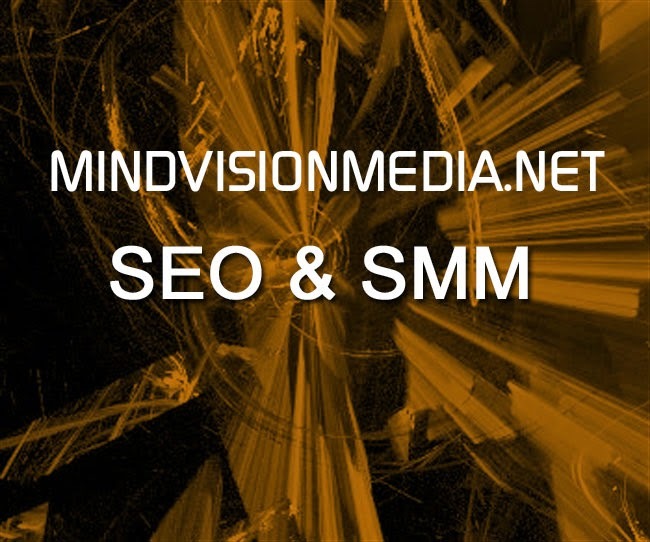 Maximize your outreach and visibility with basic SEO and SMM services from MindVisionMedia.net. Need help setting up social media for your site, no problem. Whether you have YouTube, Twitter, Facebook, Google +, Blogger, Tumblr or other social media channels, get them connected to your site so all you have to do is Post once to all your channels at the same time with our help. Improve search ranking and reach your target market better, apply affiliate marketing strategies and get your site monetized by clicking here to contact MVM now! Greetings from Allan at MindVisionMedia.net, I hope this post finds you well. With technology and all of the do-it-yourself software and resources, many people are designing their own websites, graphics, videos and the like these days. Others rely on professionals to do these tasks because of various reasons. A lack of time is usually the main reason because there is allot to consider, do and maintain, then comes the learning curve and not knowing what or how to accomplish and maintain what is involved with designing a functional website. There are some things you should watch out for when choosing a webmaster however. I can’t even tell you how many people I have helped with their websites after hiring a webmaster, a site they can’t even access themselves. They have no information on the site, they have no login or password information, they can’t update their site or make changes without contacting the webmaster who often times can’t be found or contacted after they received payment. It sounds crazy but it happens quite a bit to people who aren’t in the know. Some of the things you should look for in a webmaster are trustworthiness validated by positive references, testimonials or comments, patience and good listening skills which are required to receive and conceive your vision and bring it to fruition. A variety of skills including visual design, web design and or programming, use of the latest tools like WordPress and methods used on the Internet and in graphic element design such as Photoshop, Illustrator, Flash development tools etc. The title “webmaster” evokes a lot of stereotypes and bad experiences in some people. There are so many crooks and scammer’s out there that it often makes it difficult for people like me to gain the trust of potential clients. They should share everything with you as the process unfolds that pertains to your hosting server, your website or blog, your content and the design/development process. They should have allowed you to sign up for and register your own domain name and hosting package offering you help to complete the process. They should be willing to give you copies of anything that pertains to your website and answer questions willingly. Finally they should be capable of implementing some form of SEO for your site to help promote your web presence to Google and other search engines. Also, there are many places offering free domain names and free web hosting that attract a lot of people but many don’t realize what they are getting in to. As most of us have heard at one time or another, nothing in life is free and this applies to designing websites, domain names and hosting services as well. Predominantly when they say “free”, there are hidden aspects that catch many off guard. Free domain names usually have hidden fees that show up later and are often owned by someone else, you’re basically just renting the domain name. Free hosting usually comes with the companies obtrusive ads being placed all over your site in exchange for “free” hosting. There are also limitations on storage, bandwidth and customizations. They use your site or web presence to promote products of their choice to generate profits in exchange for your free hosting account. The problem with this is that you can’t control the ads or choose which ones show up and you get no profit from any sales either. Even new WordPress users experience some of this when choosing between independent hosting using WordPress.org as opposed to choosing WordPress.com. WordPress.com is free and makes it very simple to get started, but it has many limitations. WordPress.org on the other hand has no limitations and allows you full control and unlimited options but you must pay for your hosting service separately. In the long run and if you are serious about your WordPress site or Blog, this is the preferred option. These are just some of the main characteristics and skills to look for in a webmaster and just some of the options to consider when choosing a web host or domain name to ensure that your website or blog will be built and hosted properly and with minimal issue or conflict down the line. Hello from Allan at MindVisionmedia.net and I hope this post finds you all well! I get asked a lot from people who are just starting with web design and wanting to put up a website, "What should my website be about?". Over time my answer has gotten shorter and shorter because its really up to you, skies the limit. Now you do want to have a website that attracts people based on something they need or want or have an interest in but in this vast world and with so many people, you can hardly go wrong these days. Many people think that if its already out there, it can't be done, or they think that if someone else has already thought of their idea, they have to find something else. So I often give what I like to call, "My Hamburger and Gasoline Philosophy for Web Design" speech. this deals with a fact of society that we often overlook or take for granted. The next time you are at an intersection waiting on a red light, take look at all four corners of the intersection, more often than not, there will be 2-3 fast food places or commonly, hamburger joints, or there will be 2-3 sometimes 4 gas stations at the same intersection. Fast food restaurants sell hamburgers, yet even if they are all in close proximity to each other, they are all making money selling the same "product", why? Because not everyone will like hamburger #1 from one place and prefer to buy hamburger #2 from another place right across the street and so on. This is simply called freedom choice or to each his or her own. They are all selling a common product or providing a common service that has much in common but not everything in common. Hamburger #1 might fry theirs while hamburger #2 might grill theirs and use a special spice combination which makes them uniquely different thus appealing to a different demographic of the same market, people who like hamburgers! This in my opinion applies to everything in life. One person could look at somebody and see the most beautiful person they have ever seen, while another person looks at the same person and see the most hideous person they have ever seen, I think we have all experienced that at one time or another, LOL. And so it is with everything, what you like is not always going to be liked by the next person for whatever reason. Uniqueness is what sets us apart and this is essential to understand when deciding to create a venture of any kind. How many hamburger joints can you think of right now off of the top of your head? We all know the giants and most popular, but think of all the mom and pop hamburger joints in between who are providing their own unique version of the same product. The common denominator is, they are all making money! Now lets look at gas stations, they all sell gasoline for our vehicles right? Yet there are gas stations everywhere, commonly at intersections and you will see cars getting gas at each one. 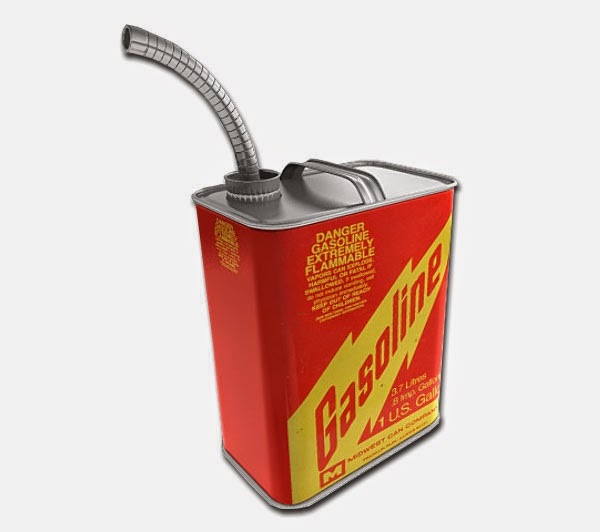 Not everybody will buy gasoline A and prefer to use gasoline B instead. I think we all have our favorites or preference that we try to adhere to and sometimes, if you are poor like me, you'll get gas whenever or wherever you can based on price, which is a "unique" characteristic that appeals to me and those frugal like me. Some gas has a better reputation than others when it comes to performance or additives that help your vehicle run better, some high-end cars are even required to use only a certain type of gas or you will end up with poor performance, etc. 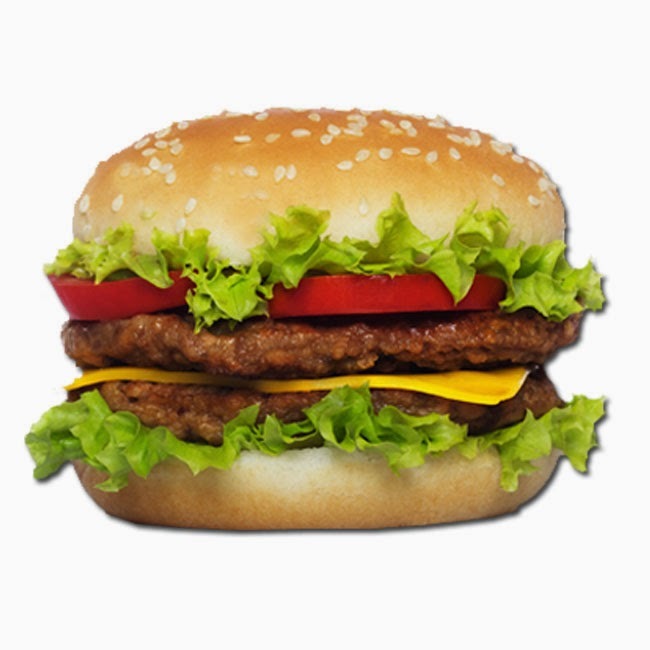 I use this Hamburger and Gasoline Philosophy for web design lecture if you will, to encourage people not to worry if someone has already thought of your idea. Don't worry that there are hundreds, sometimes thousands of other sites doing what you wan to do or selling what you want to sell or providing the service you want to provide, none of them will do it the way you do it. 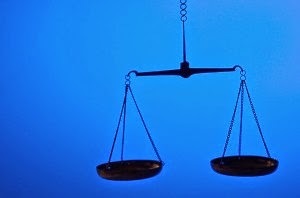 Your individual uniqueness will set you apart and appeal to a portion of the same market. So when you are discouraged because you find out that there are other sites doing what you wanted to do with your site, push forward and use your God-given uniqueness to do it your way, not theirs. Look inside your creative self and make a way for your site to be unique in some way that will set you apart. It doesn't matter with 7 billion people on the planet and websites capable of reaching an international market that is not restricted to using just one product or service. Of course if your site is geographically specific, the global market isn't a factor but still, you can set yourself apart from the guy down the street and even across the street, this is capitalism and why it can work for each of us. So dig that idea you just threw away out of the trash and un-wrinkle that piece of paper or draft and look at it from a now different perspective. Build it and they will come. Concentrate on how you are different from the other guy or gal, know that someone will like your site and not like the others because there is room for everybody on the world wide web, thats the beauty I think, on a brick and mortar job, the competition is or can be fierce, but on the Internet, skies the limit! Good luck and do your best to be the best at whatever you decide and forget about the competition. Just remember, My Hamburgers and Gasoline Philosophy for Web Design and you'll do fine! Hello from Allan at MindVisionMedia.net and I hope this post finds you well. Outlook is so easy to use and will download all of your email from all of your clients with the click of one button and I couldn't imagine managing my many email accounts without it. Going to the Internet and logging in to several separate ISP's to check mail is one of the most tedious tasks for computer and Internet users, yet millions still do it that way. Outlook is still intimidating for a lot of people who may think that it's primarily for businesses or large companies and not the average user. Admittedly Microsoft products are expensive to say the least and many just don't want to spend the money or already have an Office Suite that does not include the Outlook program and I understand the need to balance cost and need in making a decision to purchase it, that's a different story. But for those who have Outlook and never touch it for whatever reason, I am here to tell you that it will save you a lot of time and hassle checking your email and that you should reconsider all the great options it provides.However the focus of this post is to inform those who do use it about a way to remove duplicate emails from Outlook quickly and easily with a simple free tool that is available to you, that's right FREE! The program is called ODIR (Outlook Duplicate Items Remover 1.4.4) and is available for download from VAitA or other sites like CNET (just a quick note: always be careful with sites such as CNET that offer free downloads, read everything as you go through the download process as you may inadvertently download unwanted programs and marketing software along with the program you want). Once downloaded and set up the program is easy to use and offers a simple solution to rid your Outlook installation of bottle-necking duplicates that bog down your Outlook PST file. Once installed it ad's a tab to your Outlook menu, select it and then select the folder in the navigation pane for which you want ODIR to check for duplicates, it scans the selected folder and locates all duplicates based on a number of criteria, it then creates a folder within the folder it searches called ODIR_Duplicate_Items, you can browse this folder to make sure you don't want any of these emails and if not, select all and say bye-bye by selecting delete, that's it. I have removed thousands of duplicate emails from my installation of Outlook over the last year and it has helped my install run smooth and efficient and kept me from the tedious, time-consuming, laborious job of using the search and find tool built-in to Outlook and trying to determine if an email is an exact duplicate or not. 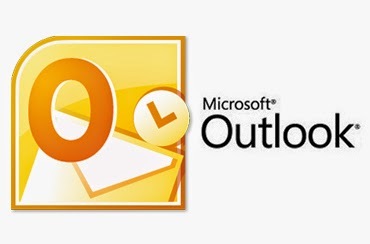 It works with versions of Outlook from 2000 to 2010 so it covers the most common versions in use today. It has been around for a while but there are new users of Outlook born each and everyday so I wanted to share this valuable tool with those looking for a manageable solution and those who may not be aware such a tool exist. The reason for duplicates can be varied, ranging from using POP 3 from your mail client, you had to import mail or data from an earlier version or program, to the way Outlook downloads email, regardless it can become a problem and this is the best solution I have found and can even be used on Outlook Express as well. Check out VAitA at http://www.vaita.com/odir.asp to find out more and start your Outlook spring cleaning now! Hello from Allan at MindVisionMedia.net and I hope this post finds you all well. If you are using the CyberChimps Responsive Theme free version, there are a few things you need to know that will save you a lot of headache. I get so many users rejected from the forums asking for really simple instruction on where to locate files and perform simple tasks such as changing a font or title size and many other changes that I thought I would write this quickly to help clear up some of the confusion and clarify a few things. Many around the world are using earlier versions of this great theme and are not familiar with many of the changes that have taken place just in the last few weeks and months. This short post includes Responsive Theme Free Time Saving Tips for old and new versions. 2. The style.css file is no longer visible in the dashboard under theme editor, it is now located and accessible on your server at the following path: wp-content>themes>responsive>core>css>style.css. As more Responsive Free users seek help, these simple tips will help make your Responsive Theme journey a little less cumbersome. To know more about how to identify and find the css code snippets you will need to make these style modifications you can watch my video tutorials on How to Edit WordPress with Firefox part #1 and #2, these WordPress video tutorials will give you the power and confidence to make changes without the wasted time and rejection found in the free forums. As always, use a child theme (watch my video tutorial on Child Themes Update for 2014 on YouTube) or at the very least, make a copy of the files you plan to edit using a text editor such as Notepad or Notepad ++ (not Microsoft Word) so you can always fall back if you break the code or experience a problem. Hello from Allan at MindVisionmedia.net and I hope this quick post finds you all well. Building a Dynamic WordPress or a Static HTML website is a visual venture that requires images one way or another, especially if you are producing content , ads, etc. In this post I will reveal The Best Stock Photo Solution for 2014. As you probably have already found out, the price of stock photos to use on your website can sometimes cost just as much or more than your site cost to set up which is a deterrent as well as a mystery for many. Well do I have a solution for you that will not only blow the high-end competition completely out of the water but save you BIG bucks in the process while offering you the same quality of images you would expect from the big expensive guys who change and arm, two legs and a spleen to purchase as few as 2 images. Its called the Dollar Photo Club and they are revolutionizing the Stock Image industry with an emphasis on making these images available to users at a tremendous savings while still offering the quality we all want. The big boy's as mentioned, can charge as much as $50-$100 dollars for a single image and that can add up when you have a site that needs more than a few images to convey your message, create banners and ad's etc. This photo resource site has become my favorite and I will never, and I repeat never go back to the big guys like iStock Photo, ShutterStock or Getty Images. When I think of the money my clients and I have spent using these services over the years, it makes me kinda sad, that money could have been used for other aspects of the design process, marketing campaigns or many other options and add-ons involved in the site implementation process. Now, I get nothing but praise from the Internet community I expose this information to, they are elated to save big money and still get the images they want for their project without committing to lengthy terms, memberships and high over-priced images. And no, I am not getting paid by Dollar Photo Club, I just love their approach and want to help rid the Internet of over-priced stock images all together. Do yourself a favor and go on over to Dollar Photo Club at http://www.dollarphotoclub.com/ and see for yourself, and do tell a friend, you'll be a hero in your own circles, I guarantee it! Hello from Allan at MindVisionMedia.net again, I hope this post finds you all well. I get a lot of inquiries about which plugin or program to use for WP e-commerce. I have used several myself and installed and set up several for clients as well and there are 4 that really stick out for user friendliness and cost to get started. I would consider all of these to range from simple to moderate in technical detail and ability. Almost anybody can set one of these up in no time depending on how many products you have and the specifics you need for each. Be sure to check with your hosting company to make sure they have enough WP support to run your e-commerce option. These are all free and offer other features, options and add-ons that you can purchase to enhance your online store and the control features you have. The first is Ecwid, this free plugin offers a handy e-commerce widget that is easy to implement on any page or post through the use of a shortcode. The set up at Ecwid.com is friendly and easy as well providing more options than one would expect from a free service. Once you have your products created and all of the settings configured, it is just a matter of dragging the Ecwid e-commerce Plugin widget into the sidebar of your choice or add the store to a page of your choice using the provided "shortcodes". The free plan includes all standard e-commerce features, and paid plans start at $15 per month and grant you more advanced features such as discount settings and inventory control. Check it out and see if it's the right e-commerce solution for your WordPress site or Blog. 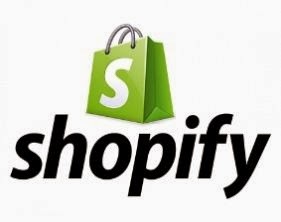 Next we have Shopify, get your online retail plan going with this stylish and versatile e-commerce solution. What I like about this one is the ability to customize the look and feel pretty much however you want. I have worked on and seen some pretty nice "looking" online stores using this one. They offer over 100 templates and even have an iPad Point-of-Sale feature that syncs all of your online and brick and mortar products, inventory, orders etc making it easier for business owners to manage their business. Probably one of the most known free e-commerce plugins for WordPress is WooCommerce. This is another option for your online store that offers great themes ($) to help you customize the look and feel of your business. You get all the basic features including order management, shipping and tax adjustments, customer account area, sales reports, inventory management options, coupon options and a whole lot more. If you are looking for a plugin that is popular, this is it. A quick note to consider though is that not all hosting companies offer full WordPress support which can impact whether or not you can run WooCommerce on your server. Check with your hosting company to see if they support WooCommerce before you get all exited, I have had personal experience getting one all setup and the hosting company couldn't run it properly. The last one is WP e-Commerce. A bit of a trend setter, this e-commerce option was one of the few solutions for WordPress years ago before a lot of the others were developed. Of course this one has everything you need as do most, control over inventory, shipping, discounts, orders, multiple language and currency options, Google Checkout and a lot more, free. You can buy other features and add-ons to enhance the product but you can definitely get started and go a long way with the free version. These guys were around before all of the options available today so they have had the advantage of finding out what works and what features to provide for those who choose to use this e-commerce option, tried and tested. So if you are trying to configure an online store or shopping cart, set up an e-commerce site, sell stuff on your blog etc, these 4 WordPress e-commerce options provide enough versatility and comparison to help you make a good decision for your needs. Again just a reminder to check with your hosting company to make sure your choice will work on your current server configuration. Enjoy and happy selling! WordPress Responsive Theme Child Theme Update v1.9.5.1 2014. The long awaited and much needed child theme update tutorial that will help fix your broken parent or child theme. Hello folks, #allanmvm here to resolve the current confusion surrounding child themes and the latest versions of this popular WordPress Theme. Over the last several weeks I have recieved a huge influx of inquiries regarding broken parent and child themes from people all over the world. Typically, theme developers only make changes that cover security vulnerabilities and bug fixes to a theme. Rarely do they change core file names and locations which can reak havoc on current users. In recent updates however, CyberChimps has done both. In the last few months I've seen an increased update pattern from CyberChimps as they attempt to finalize core features and improvements to one of the most popular themes available. The problem started when changes to these core file names and locations were part of the updates. This caused and is still causing a little confusion and frustration for some over which file to edit. Over the span of this past summer (2013) when the home php file was changed to front-page php (this file deals with the main Content area, CTA button and the Featured content areas of the home page), I saw an increase of support requests for help figuring out where to edit these sections in the theme editor and or explanations on how to move that file to the child theme directory to make edits. Now with the latest updates, the actual location of the main style css file has changed. Many users have discovered that the @url reference link in their child theme css could no longer find the new location of the parent themes style css. A quick fix for existing child theme users is to edit the path from, .../responsive/style.css to the new path in the @url reference. In my latest UPDATED Responsive Theme Child Theme Tutorial for 2014, I reveal the new location (path) of the "parent" style css file and how to set up and use a child theme with the new Responsive Theme updates. I show how to download and install the child theme template available from CyberChimps, activate it and set it up so you can edit your child theme successfully along with showing how to move or transfer copies of other files to the child theme directory in order to see and access them from within the Dashboard theme editor. 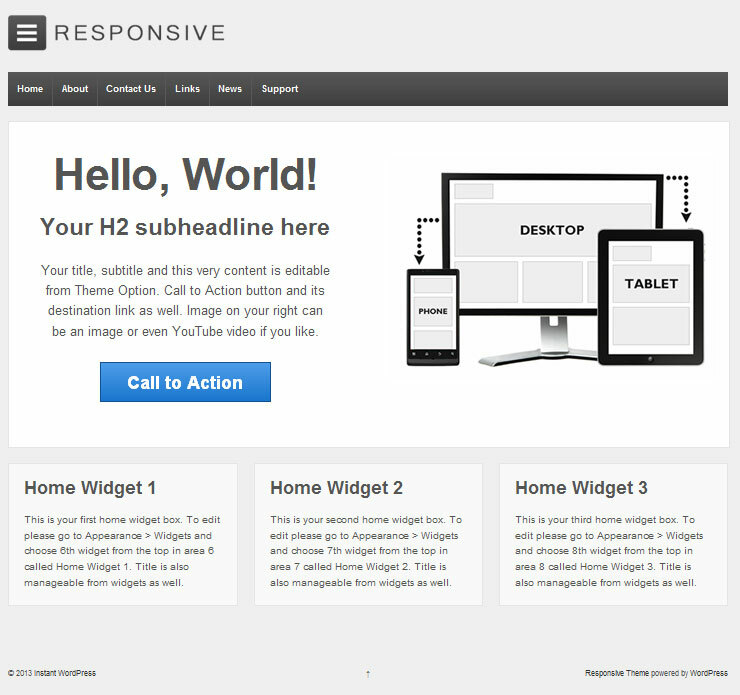 WordPress Responsive Theme - Where's the CSS File? Responsive Theme updates impact thousands of users, cause broken themes and child themes as core files are changed and hidden form access. Hi folks, @allanmvm here to discuss the recent updates to the Responsive Theme and the many inquiries I am receiving from frustrated and confused users. As most of us know, using a child theme is supposed to be a good thing, right? Some would argue but the concept makes sense, work on a copy instead of ruining the original,a common sense approach most can digest. Typically theme developers make updates to their themes to rectify security vulnerabilities and bug fixes that are needed to enhance or protect users f the theme. CyberChimps however is making changes that are impacting users in a negative way of late. In the last 6 months alone, the Responsive Theme has gone through major changes to core files and recently the main style css file was hidden from access in the themes dashboard theme editor. Even with a child theme, many discovered a broken site or blog after updating the parent theme. and new users are lost when trying to create a child theme with the latest versions. In another attempt to assist the many users contacting me about this issue, I have created a short but clear video that sheds some light on the matter. I show where the style css file has been moved to in the latest version, and I also show 2 additional methods of modifying the theme without even creating a child theme at all. My video tutorials on child themes for the earlier versions still apply if you are using older version 1.9.3 or earlier of which a lot of people are still using believe it or not, especially in other countries. 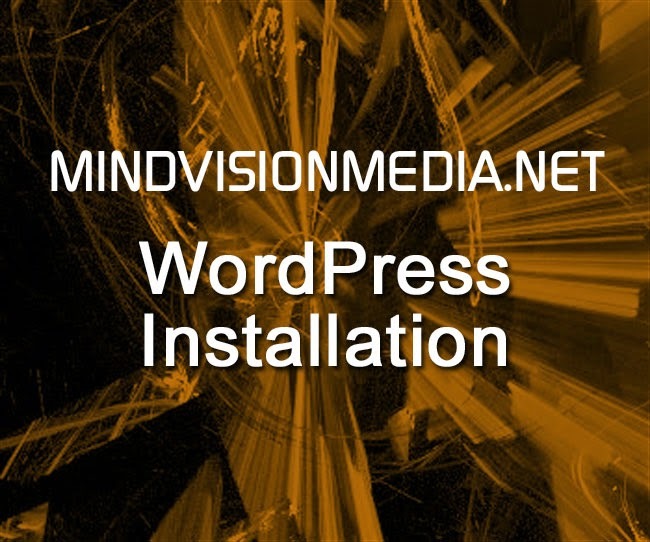 Visit MindVisionMedia.net to find out more and get help with other issues regarding WordPress Responsive Themes. Join to get access to FREE downloads and more! Hello to all from MindVisionMedia.net. I hope this post finds you well! 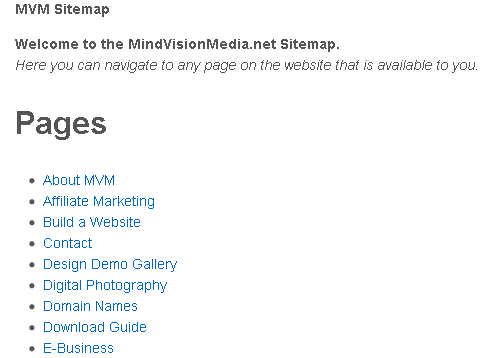 I am glad to report that MindVisionMedia.net now has more resources available to ensure reliable service and consistent up-time! The high demand was putting a drain on previous resources and I had to update. I would like to thank everyone for all of the support and patience during my update. Feel free to visit the site and take advantage of all the resources available. I look forward to seeing you at MindVisionmedia.net, my MVM Blog or at MVM on YouTube as I continue to provide learning materials for the Internet community.. Thanks again for your patience. Hello to all from Allan at MindVisionMedia.net and I hope this post finds you well. Few realize the importance of your sitemap when it comes to Google. The sitemap, for those who are not familiar, is a file that tells Google or some other company, what pages to "fetch" or scan on your website from time to time and it represents a tree or directory to the pages most important in your site to your visitors. This file (usually XML) has more than one purpose, it assists in updating the search engines and helps people find you based on your content. This process involves repeated scans or "fetches" by Google which are set at an interval you can modify if needed. The other purpose of directing your visitors to the pages they want or your sites map, is performed by the same file but displays in a browsers window as the result of a link or button being pressed. One function performs behind the scenes with Google and the other performs on screen as a tool or guide to find your content. 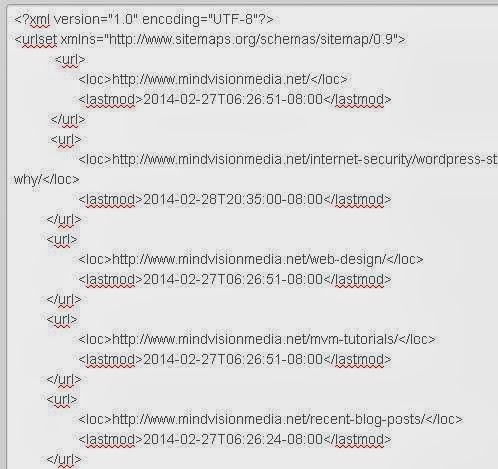 There are many sitemap Plugins that zip out a sitemap for your site or Blog, but you'll want to edit or take the time before-hand to set up some limits before creating the sitemap. The most common form is an XML file but some programs offer a choice of XML or HTML. I use an HTML version for my site visitors and an XML version for Google. The power of the sitemap is in adding instructions that tell the search engine when and how to check for updates in your content, by date, frequency, by category, by specific page or post, etc. The point here is to make sure you are not including pages that don't relate to your target market directly and maximize the intent of the sitemap to make these Google fetches targeted and effective. You don't want Google indexing your contact page, image galleries, pages not complete yet or made public, or your privacy statements when there are other more pertinent pages or posts that directly relate to your target niche. Look at these scans by Google as wasted because Google scanned unnecessary content for nothing, Nada, zilch, of zero benefit to you or I or more importantly, our site. This includes any information (pages, posts, media file pages, etc) that don't help your search ranking or your seekers find you for the information they need. Another negative affect to having Google fetch a bunch of extra pages or every page in your site is the impact on your sites resources! That's right, each fetch generates queries in your database. Your query limits could possibly be affected, compiling any other burdens on the database currently by having a bloated sitemap in combination with a high fetch rate. You may be faced with a slow loading or inaccessible site as a result and in some cases for large sites, you will have to adjust the fetch rate for Google's Bots, to reduce the time between automatic fetches and minimize the burden on your resources. A good sitemap will only have the pages or posts most relevant to the content, keyword, niche combination, thus maximizing Google's efforts to index your relevant content which will in turn improve your relevancy in searches. It really is a science, a symbiotic thing when it all works together and for the big guy's, who have marketing firms, web development companies or teams working on site refinement, SEO and Analytics, the end result is amazing, we see their presence everyday. But for the small guy or gal managing their web presence alone, it can be daunting and time consuming. Just when you think you're done, there is something else you need to do to refine your site even more to compete. Adjust Google fetch rate according to your update frequency and available resources. So don't neglect, or entrust your sitemap to some free plugin entirely, examine your site's map and you will often notice references on there that are not needed. A little refinement goes a long way and has several benefits as you can see. Greetings to all from Allan at MindVisionMedia.net and I hope this post find you well! My name is Allan, and I use WordPress everyday. There a re a few things I keep wishing WordPress had built in to the new design. This post examines a few ideas I have for the awesome development team at WordPress. Add Comment Settings to Media File Parameters: Please give us an option to set this while already setting parameters for the media file. By default, WordPress sets comments to on for media files. You must manually turn them off as they are not turned off in the Discussion settings along with pages and posts. Seeing comments when you turned them off can be confusing to most. But this little know back door that allows comments (especially comment spam) to enter unobstructed. Having an option to quickly turn comments on or off for media files while looking at and setting the main parameters for the image anyway would be super convenient. 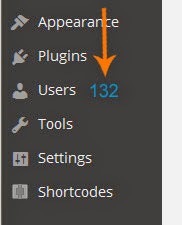 Add Updated User Count to Dashboard: It would be nice to have an updated user count when logging in or "hovering" over the User link in the Dashboard.You can quickly notice if you have gained or lost users when you log in to your WordPress Dashboard. This gives you the ability to prioritize your time in the Dashboard by knowing right away if you need to do User Management during this session. Lets say I have 132 users when I log out, but the next time I log in, I have 148 Users, now I know that I need to do some User management right away to check the roles for these new users and any management tasks I have set up for my members. It can be visible already or appear when you hover over the user link as with some of the other Dashboard menu items. Hopefully I'm not the only user who sees a use for this and it would be relatively simple to add this particular convenience feature to an already elegant and user-friendly interface. 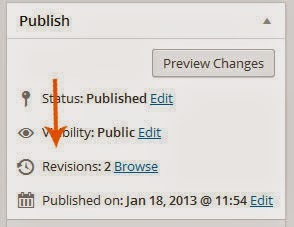 Add Settings for Revisions: Oh boy, this one holds a special place in my WordPress heart. Please give us a setting to turn revisions on or off, or at least restrict how many we want to save on an individual post basis. Having every single edit saved is not practical for non-editorial, article or Blog-style sites. And for some websites who challenge their allotted query limit on their database, this is a factor that can make or break a site. I shaved over 12MB off of my database recently just from unneeded revisions. The feature is necessary but not in its present configuration. I'm hopeful that enough threads are on this topic to get the attention of WordPress so they add this much needed feature in the next update. Add Vertical Space to "Edit Window": While creating or editing a page or post in the page/post editor, the vertical height of the content window is unnecessarily short and tight. It would be fantastic if it was at least double the height it is now. Oh that's too much you say? No it isn't, not at all if you are a designer or developer or someone who creates content on a regular basis. You could always use more perspective and less scrolling! Besides, the sidebar area where you set the featured image, tags and categories in the page/post editor, consumes a considerable amount of vertical real estate and often extends way down the page, leaving the short edit window way at the top. More height would eliminate so much scrolling back and forth while creating or editing a page and make better use of all the vacant space in the content area that is currently all white space while scrolling to see the rest of the options in the lower part of the sidebar. 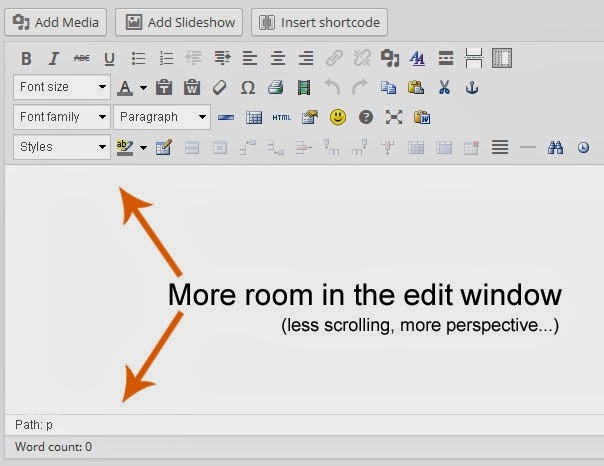 This one just makes sense guys from a developer and editor stand point, all that unused space below the current edit window, lets push that stuff down and add 2-3 times the height to the edit window in WordPress. I think even WordPress would end up enjoying this modification! Hello to all and I hope this post finds you well! After a year of being live, MindVisionMedia.net has provided over 8,800 hours of FREE Responsive WordPress Training to a global community of WordPress beginners and intermediate users, First-Time Web Designers and those just looking to modify their WordPress Theme. 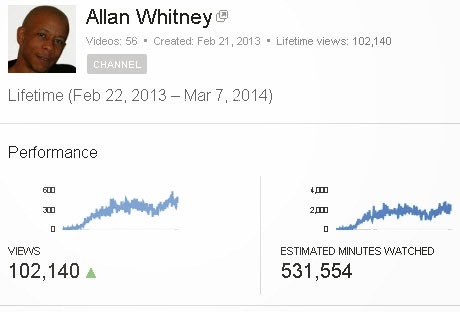 MVM has over 102,000 views on YouTube, over 1,000 subscribers and the numbers keep rising. While honing in on the needs of aspiring web designers and WordPress users, expansion is on the horizon and I hope to continue with my goal of becoming a valued and trusted resource on the Internet for FREE learning materials that empower those who seek to learn and due for self. The Internet offers a wealth of opportunity, and in a time when there are no jobs and no guarantees, hats off to people who try to create one for themselves. My efforts give me great satisfaction when I hear back from my loyal subscribers, followers, students and clients. Gustavo Berdugo March 5th, 2014 • WordPress Responsive All in one SEO Pack Plugin I just want to say that your tutorials are the best I have found so far. Many thanks for sharing your knowledge. 5 stars for you. jm6532 Feb 27, 2014 • Responsive WordPress Child Themes Tutorial Part #2 Updated Version Scary how good Allan is, I tell you I emailed Allan with an issue I had with my website today and he fixed it. Sounds easy, and he made it seem easy........ but I had been working on it for 3 days and he worked with me on it for hours. The reason he has 16 thousand views is because Allen is patient with people who he has helped. Once I put it in his hands, he had it done in 2 mins.. Amazing, If you have a website to have built, or issues with a wordpress site. Email him. I cannot give a higher praise. Thanx Allan for getting me out of a Jam!! Gabby Sabatini Feb 21, 2014 • WordPress Responsive Theme Basics 2014 Allan. Wow, my friend, you are awesome and you're saving my *** bigtime. New to WordPress and I'm using the Responsive Pro Theme. Thanks for all the information! Join these folks and many others in appreciation for the wealth of information, step-by-step guides, video tutorials and more provided by Allan at MindVisionMedia.net. Help support me and spread the word about my mission. If you need Dynamic Responsive WordPress site design, child theme creation (even after you've modified the parent theme), child theme modification, graphics, ads, banners, flash animations or any other aspect of web design, contact me for a free quote and analysis of your project. I'm sure I can beat the other guys prices.